The Vice-Presidency, Human Resources and Corporate Services ensures the delivery of efficient, people-centered, client-oriented, corporate services to ensure overall institutional effectiveness in all aspects of the Bank’s corporate services. The complex leads efforts to ensure the competitiveness of the Bank as the employer of choice and is responsible for providing leadership in the formulation and implementation of Bank’s strategies on people, IT, general services and institutional procurements, language services, business continuity and, health and safety strategies. In order to create a truly transformed HR work-way, the Human Resources Management Department is structured around a triangular Model: Business Partnerships for strategy, client contracting and HR delivery, Centers of Expertise/Subject Matter Experts for internal consulting, thought leadership, design, talent and staff development and training and best practice benchmarking, HR Shared Services for transactional excellence and employees outreach. This new HR Model will deliver a world-class employee life-cycle experience. The Staff Development and Training Division embeds a strategic approach to human resource development and management that results in more effective talent and performance management including Strategic sourcing and Career development and mobility, Leadership Development, Compensation and rewards, and Policy and compliance. Planning: assessment of the workforce's current skill levels and compare them with the skills required to meet future business objectives. That will enable the discussion of trainings/resources needs including various methods of delivery and securing the appropriate support. Administration: administration, coordination and reporting: ensure return on investment of talents acquisition and development. These activities results shall be in line with the planning and budget allocation and issue report for management information and for recording. 1. Support the Division Manager in leading and overseeing relevant global strategies and processes associated to talent acquisition, workforce planning, job descriptions and evaluations, job classification, assessment centres, diversity programs, succession and planning, the Young Professionals and Internship Programs, and Leadership and Employee development for the Bank. 2. Accordingly, lead/ supervise the Leadership & Employee Development, Recruitment and Talent Management & Mobility Officers; ensuring alignment of strategy, processes and outcomes associated to talent acquisition, talent management, mobility, workforce planning and employee/ leadership development. 3. Develop relevant long, medium and short-term programs and strategies and maintain an annual Global Learning Plan for the Bank based on identified business and capacity needs in liaison with business functions and relevant HRBPs. Modify and improve programs as needed to ensure continuous improvement and relevance, where necessary. 5. Design and maintain global leadership and personal development programs such as the Leadership and Management Development Program, Coaching programs, Mentorship, etc. 6. Ensure that these programs address and improve global requirements associated to competency-based learning, organizational culture, work environment, staff productivity and leadership measures e.g. Employee Engagement Index, Managerial and Leadership Effective Index, etc. 7. Lead the development of the Bank’s Staff Capacity Development Strategy to ensure that knowledge products support the Bank’s overall strategy that staff are informed and knowledgeable about learning offerings and post-training evaluations are done to determine ROI and relevance of the programs. 8. Identify and procure appropriate capacity development providers and ensure that best value for money in area of responsibility. 9. Identify and recommend alternative sources of financial, technical resources and cost effective partnerships with bilateral organizations for economic implementation of capacity development programs. 10. Facilitate Succession and Career planning and development in liaison with relevant stakeholders, including business units, HRBPs, the Performance Management and Talent and Mobility team. 11. Train instructors and supervisors in techniques and skills for training and dealing with employees. 12. As such, evaluate instructor performance and the effectiveness of capacity development programs, providing recommendations for improvement. 13. Design and oversee the induction and on boarding programs to ensure that new hires are properly inducted and aware of all internal rules, regulations and policies of the Bank. 14. In liaison with relevant business functions, develop testing and evaluation procedures to ensure that skills and knowledge available in the Bank addresses the Bank’s Business strategy. 15. Develop and disseminate manuals, multimedia visual aids, and other materials in the area of responsibility. 16. Provide expertise and facilitate the transfer and management of knowledge to ensure the Bank’s sustainability. 17. 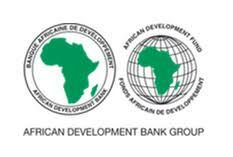 Develop and implement both virtual learning and other contents that will support the effective delivery of professional academies in the African development bank Academy; including identifying and implementing appropriate learning technologies for the Bank; and providing leadership on the development and implementation of e-learning products for the Bank. 18. Generate annual appraisal reports relevant to the Leadership & Employee Development (training), Recruitment and Talent Management & Mobility and career development activities of the Bank and recommend relevant improvements. 19. Adapt best-practices in Leadership & Employee Development (staff capacity development strategies), Recruitment and Talent Management & Mobility and career from Multilateral Development Banks, International Financial Institutions and other international organizations such as the World Bank, Asian Development Bank etc. to the needs of the Bank. 20. In collaboration with Programing and Budget Department and supported by staff in charge of Leadership and Employee development, Talent Management and Mobility Officer and the Recruitment Officer, lead the development and appropriate implementation of the annual work programs and associated budgets, as agreed with the Director. 21. Provide support to HR initiatives that will enhance the Bank’s development agenda. 22. Define own and his/her support staff mid and short term planning, quality procedures, and client service level agreements to ensure that they are in line with the work programmes and take appropriate action to achieve quality of the deliverables. 23. Maintain effective communication and collaboration with the other units of the Bank to ensure continued relevance to business needs and support to Human Resources Management Department and other departments' missions and objectives. E.g. collaboration with Chief Economist (Chief Economist/Vice Presidency for Economic Governance and Knowledge Complex in the development of strategies, knowledge and capacity development packs that can be seamlessly deployed within the Bank and the Regional Member Countries. 24. Ensure full compliance with the Bank's control and reporting procedures, inform his/her management frequently about his/her results, current and anticipated issues, and propose solutions to address them. 25. Enforce the Bank's ethics, health, safety, security, environment and hygiene policies and procedures, and report shortcomings to his/her management, in order to ensure an optimal working environment to his/her support staff, external partners and visitors. 1. Hold at least a Master's or equivalent degree in Human Resources Management, Organisational Development, Social Sciences, Business Administration, Public Sector Management or related discipline. 2. Have a minimum of seven (7) years of relevant experience in the area of designing and implementing employee and leadership Training & Development, Organisational Design & Development and competency frameworks. 3. Having private sector experience will be an added advantage. 4. Very good knowledge of learning and staff development principles. 5. An in-depth knowledge of Learning platforms designs and management, e-learning content design, architectural design and implementation and management; Specialised Training and development qualifications; Professional certifications e.g. CIPD, SHRM; Workplace assessment/ psychometric qualifications, are considered as an advantage. 6. Experience in talent acquisition, mobility, performance management, career development, talent management and succession processes is an added advantage. 7. Proven project management experience is preferable. 10. Excellent oral and written communication skills. 11. Excellent interpersonal and influencing skills with the ability to facilitate across all levels of business and collaborate with HR Business Partners and line leaders. 12. Ability to deal with sensitive issues in a multi-cultural environment and to build effective working relations with colleagues. 13. Strong analytical, management and decision-making skills to assess training needs and recommend appropriate solutions. 14. Ability to execute high-impact learning strategies that enhance people and business performance. 15. Specialist knowledge and experience in HR Strategy; and employee training and development. 16. Experience in change management, succession planning, diversity and career planning processes and programs, preferred. 17. Effective consulting and advisory skills that enable clients and help them build their confidence and skills to deal with HR issues. 18. In-depth experience in applying HR Generalist knowledge to deliver full scope of strategic HR services in line with the Bank’s strategy needs/situation. 19. Ability to deal with sensitive issues in a multi-cultural environment and to build effective working relations with colleagues. 20. Ability to leverage stakeholders support to drive the Learning Agenda of the Bank that will enable it emerge as a Learning hub and Knowledge Broker for Africa. 21. Ability to communicate effectively (written and oral) in French or English, preferably with a good working knowledge of the other language. 22. Competence in the use of Bank standard software (Word, Excel, PowerPoint, SAP, SharePoint) and HR Management Systems, Learning Management Systems, development and deployment of e-learning contents and empowering learning in a virtual environment.